STOP wasting time on lengthy group discussions that go nowhere. STOP getting frustrated with the lack of actionable outcomes. When you work with me you can finally sleep easier at night knowing that you have brought in a safe pair of hands to guide you all through those tricky discussions, enabling everyone to feel heard and be part of a harmonious team. Helene’s methods of engaging both our staff and beneficiaries provided us with a valuable insight into how the projects were progressing. We were able to follow up on a number of aspects of her final report which enabled us to develop and improve the projects. She approached this piece of work with precision and enthusiasm which produced some excellent results. There are a few ways Jewell Facilitation can you help you. I will design and facilitate a workshop for you, tailor made to address your needs. We will start with a consultation to see exactly what it is you require and then I will design a process for your approval. 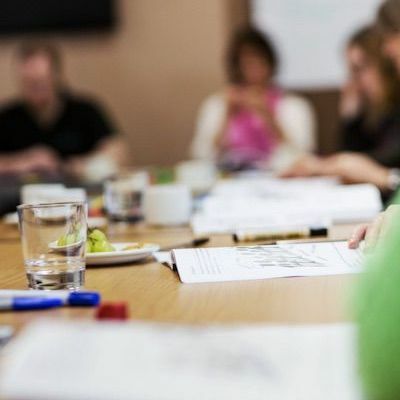 These workshops may be with staff within or across teams, or include external stakeholders and can be stand alone workshops or part of larger events. Workshops can be anything from half a day to several days and are lazer focused on particular outcomes. 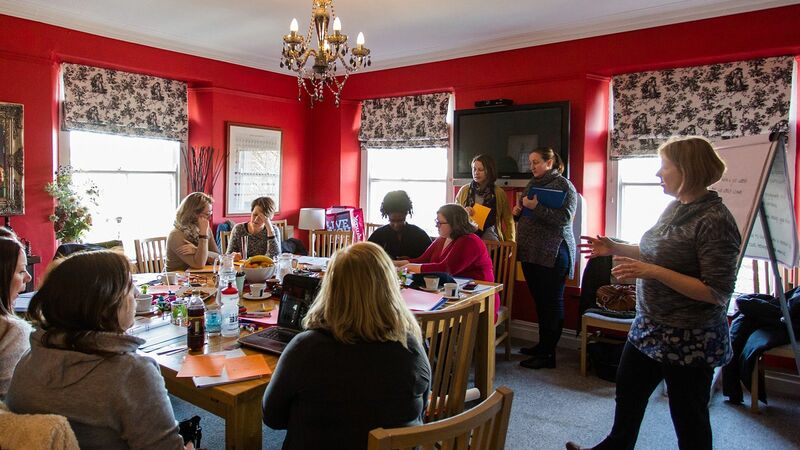 Common themes for workshops include: reflecting on and reviewing projects, generating ideas, solving problems or looking forward into the future creating plans or setting goals. Workshops start at £600 and can be on or off site depending on your needs. Helene came to our business to run a communications workshop to help our growing team of technical consultants become more efficient. I found her methods and approach quite brilliant and we are already seeing the benefits in the way we are interacting with each other and our customers. I’m therefore very proud to recommend Helene to my entire network (and beyond). Getting away from the workplace for a day or two can be a refreshing change and provides an opportunity to get those creative ideas flowing. Being on neutral ground and away from the ‘day to day’ means that your team members are in a better position to address the topics in question and be fully present in conversations. A relaxed environment, away from the usual pressures provides the mental space needed to have more open discussions and encourage more enthusiastic participation. Away days focus on working together to create a strong sense of collaboration. Your team will leave happier, knowing that they have been heard and having created some strong bonds. People are much more enthusiastic and likely to participate fully when they are doing something they are enjoying, so and injection fun to keep people energized will also be a part of the mix. If you’re thinking about doing your own workshop and astounding your clients with your extensive knowledge on your specialist subject, then you’ll want to get it just right. One of the keys to a great workshop is keeping your participants engaged. Knowing how to create a dynamic and interactive environment is part of making sure that happens. Guiding you through that process and equipping you with the right skills is where I come in! 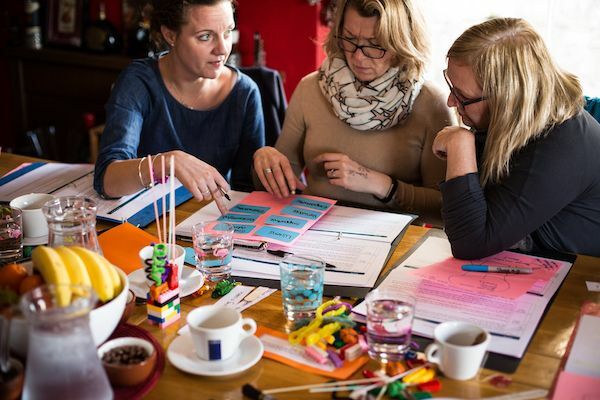 Check out my upcoming open workshops here or call me to discuss how I can create a bespoke in-house training for your team. Helene has a natural ability of getting the best out of a group of people in a fun, interesting & dynamic way. Her passion for leading groups clearly shows – she brims with ideas & enthusiasm. I’ve had the pleasure of working with Helene in a number of different levels & gained a real understanding of how she works. Her knack for translating your ‘half ideas’ & translating them into structured thoughts is a joy! She’s most at home with a pen in each hand & a huge piece of paper, making your dreams happen. She really is a natural leader in her field. I recently attended one of Helene’s workshops on running workshops. It was brilliant – a really valuable and productive use of my time. I came away full of ideas about making my workshops better and I feel very excited about doing my own workshops now! Highly recommended! Interested in working with me? Lets set up a free, no obligation consultation and let’s find out if facilitated workshops are right for you.